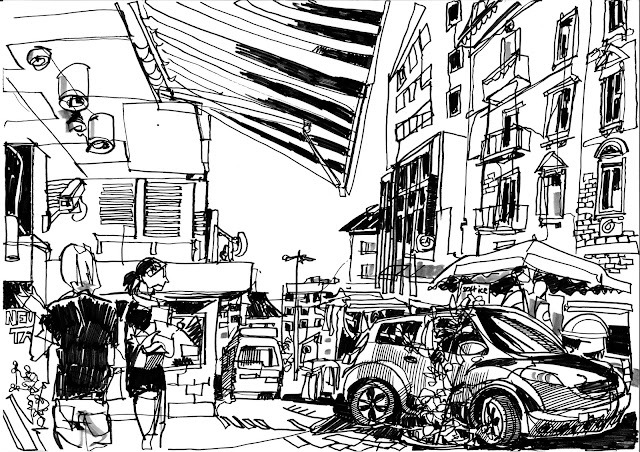 Lunchtime Sketch on market place in Zurich Oerlikon. What a pleasure to catch some warming sunbeams even as this fantastic (except effects on climate change) summer ended yesterday officially. Love it too! Der mix aus tree-liner und mehr comic-mässig ist ganz cool! Toll! So dicht, so voller leben! Love it!! !